You can follow me on Twitter ﻿@TheDonOfBeer﻿. Most of my Tweets are what I happen to be drinking, but I'll occasionally Tweet an interesting article about the beer business. Please provide some information about your magazine. 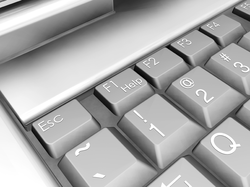 Obviously the subject matter is important, but any other information that will help me write to your audience (eg. demographic information and geographic distribution) would also be appreciated. 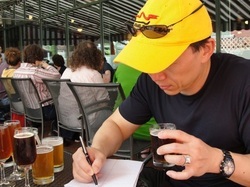 If you are a commercial brewery and would like your beer reviewed, either for the "Latest Tastings" page or for future articles I may write, please contact Don Tse at don[at]thedonofbeer.com. I will then provide you with information on the service I will provide and how to send beer to me. Sorry, but I cannot evaluate homebrew outside of organized competitions. This is due to alcohol control laws. I've got nothing against homebrew! 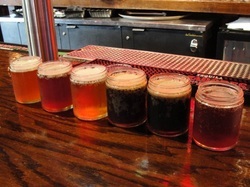 Don Tse can lead a tasting for you. I have led tastings of various sizes on various subjects. Whether you want a broad introduction to beer for a client event or want to host a "Beers of the World" tasting for a party, I can help you. Please contact me at don[at]thedonofbeer.com. 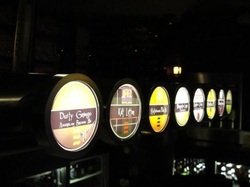 If you are a bar or restaurant wanting to serve good beer, Don Tse can help you! I can help you design a beer menu to fit your bar or restaurant concept and to keep your customers engaged and coming back for more.